I have a lot of recipes. Many of them I share, some others I don't. Oh come on, you know you hold back one or two of your favorites if you really like to cook or bake. After all, how would you know what to bring to a party? My chocolate chip cookie recipe is one of those. I'll let you in on a secret though. Churn your own butter. It really makes the flavor pop! Five minutes in the cuisinart later you have butter and buttermilk. Make biscuits. But the thing is that nobody ever tells you of the failures. For every successful cook, there is a trash can full of fallen souffles, burnt biscuits, and wooden roasts. Things that got undercooked, or overcooked. Things that got the wrong proportions. Things that went into the oven and the power went out. The yeast might have been bad. The recipes I share are tested. I have done them more than once. I don't do them rushed. I take pictures. I marvel at the color of the crust, the flavor of the crumb, and the mouth feel of the flake. But I have done them before. Some of them I have done many times before. But I am on a quest. The quest for the Grail? No Monty, not the quest for the Grail, for Camelot is a very silly place. 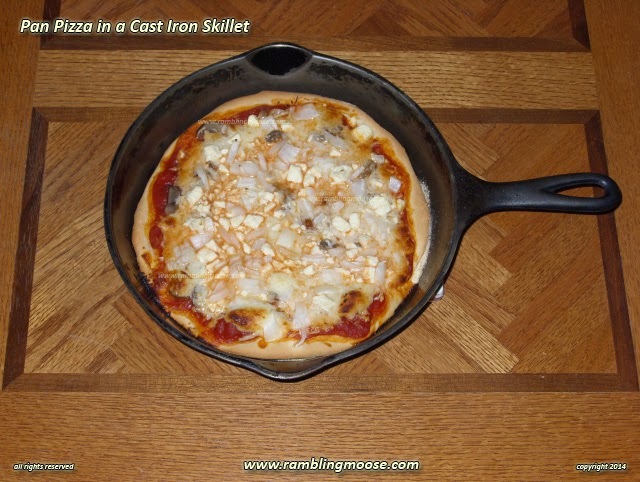 The quest is for the simplest recipes I can find for a given menu item. They may take a little extra time or be quirky, but once I get it figured out, they're golden. Fudge, for example, is dead simple. Three ingredients for the basics, then toss in your goodies and you're done. It can even be done in the Microwave by a bright five year old as a treat for mommy. Doesn't even need daddy's help, and may even be better without it. You really just have to "warm up" the chocolate and stir it until smooth. My friends that are non-cooks or even anti-cooks are those who I find the simplest recipes for. Cooking is one of those things that everyone, without fail, can learn, but they do have to at least try. I went onto a search. A quest! No, not for that damn Grail, Monty, go sit down in the corner. I was searching for "Three Ingredient Recipes". Those usually are the ones that you mash together with a fork in a big bowl and then toss in the oven at an appropriate temperature. For about 30 minutes or until done. I found a lot of them. Just go to your favorite search engine that doesn't track what you are doing, type in "Three Ingredient Recipe" and find what you are looking for. I was planning on a two ingredient pizza crust. It was easy they said. A cup of Self Rising Flour and a cup of Greek Yogurt. They warned it will be sticky and they warned to make sure you used the real Greek yogurt and not the crap that has corn starch to thicken it. I have everything on hand on a daily basis for that. The whole weekend I was thinking about trying this. Seriously. Ok, I don't have a life. So give me one, I'll make failed pizza crusts for you, honest! Finally I decided it was time to do it that day. I waited until it was time. I even had someone here who wanted to watch. "Drop In" friends will do that. They will help you if you have a task to get done if you make a hint. So I got out the mixer. Proper Greek Yogurt that was one step removed from Cream Cheese. The dog got interested and joined us in the kitchen at this point. Turn the bloody mixer on. Get the parchment paper and line the cookie sheet while I'm watching the magic happen. Dust the cookie sheet liberally with flour so it doesn't stick. They always tell you that when you make a pizza. Pizza crusts tend to be drier than bread dough. Put down a lot of flour and knead well. It is like playing with clay, you have to work it. Blah blah blah, this is two ingredients, right? Finally I get bored with watching it spin and switch off the mixer. I end up with something that looked more like biscuit batter. Thick and sticky. I could use it to spackle a wall. Pouring the batter out onto the flour I began to roll it out. That would be when I found the problems starting. It stuck to the paper so I added more flour. It stuck to the wooden rolling pin so I added more flour. It started making holes in the crust so I added more flour. At this point it was about a cup and a half of flour total. This wasn't right. The parchment paper was turning into a wet sticky mess and fully bonded with the bottom of the pizza dough. After about 5 minutes more of this silliness, I got another piece of parchment paper and dusted it heavily with more self rising flour. I was expecting, that, if I ever got this in the oven, it would burst open in a scene that I Love Lucy would have been proud of as the crust would fall out onto the floor and ask for asylum here in South Florida. Taking the dough and parchment paper, I flipped it on top of the new parchment paper. A parchment paper sandwich now, I began to peel the dough off the older paper onto the new. I began to grumble at this thing. Cursing everyone from the Doughboy on the commercial to the inventor of commercial yeast, I started to pick at the sticky goo. Thirty minutes later, I was still picking. I had peeled about a half of the dough off the paper and I simply gave up. You see, life is a learning process. You win some, you lose some. I'm sure you heard that before. In this case I probably should have simply added more flour to the mixer until I got to where I could work the dough. At least that was what my baking skills told me. I didn't. I wadded up both layers of parchment paper, the glue like batter, and tossed it unceremoniously into the trash bin. We had Chicken Parmesan sandwiches instead. With Home Fries since they cook well with no fuss. I was beaten but not done. I know I will have that pizza. Just with my fool proof yeast risen dough. After all, it is my sister Pat's pizza dough, and I know that recipe like I know the back of my hand. All the way down to the piece of dried pizza dough that I found stuck to my fingers when I was eating that Chicken Parm Sandwich. Mmmm Chicken Parm on Home Made Rolls. I make this all the time. The problem is, you got a bad recipe. Use a cup of Greek yogurt to a cup AND A HALF of self-rising flour. Don't bother with the mixer and everything - just stir it in a bowl. Take all the little clumps and (after dusting your hands with flour) knead them together. Then flatten it out on a bread board with a heavy dusting of more self-rising flour. I don't even use a rolling pin - just do it by hand. Once you've stretched and pounded it into a good pizza shape, brush it with olive oil, add your toppings, slide it onto a pizza pan, and put it into a 450 degree oven for 12 minutes. Comes out perfect.